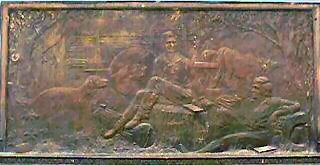 And it was thoughts of a nature school in the forest that inspired Rockport's own sculptor, George H. Honig, to conceive the idea of the sculptured mural Abraham Lincoln's Forest College in Spencer County, Indiana 1816-1830. This sculpture is dated May, 1934. 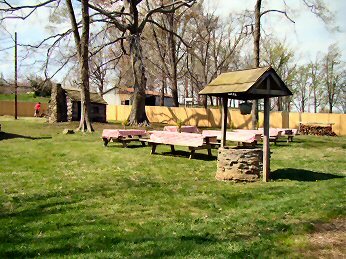 He also designed the Lincoln Pioneer Village. The unveiling of the mural took place at the Lincoln Flatboat Landing on October 31, 1934. The sculpture originally hung in the Kennedy building of Rockport High School. When that building was dismantled, it was moved to Rockport Elementary which is on the same location. 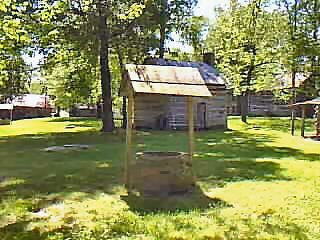 Rockport Elementary is one block east of the Lincoln Pioneer Village. 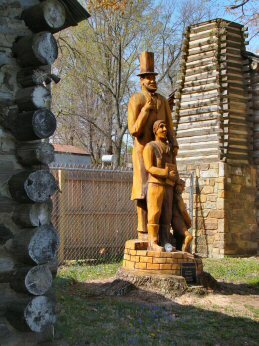 The tree carving on the left is titled Three Ages of Lincoln. It stands to the left of the entrance. 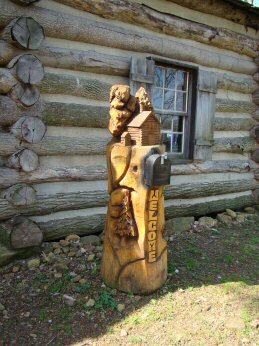 The carving on the right is in front of the entrance and is used for the mailbox. Carved by Willy Loper and dedicated April 26, 2008. Both photos taken April, 2009. 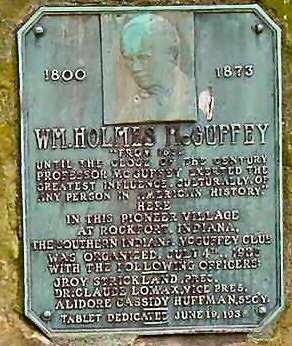 This is the McGuffey Memorial dedicated by the local McGuffey Society. 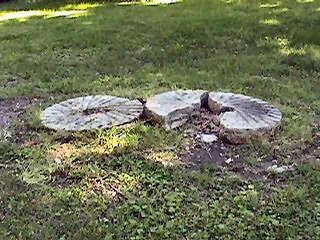 This stone, and two others in the Village, were carved by sculptor George Honig. You can see a second stone in the background. 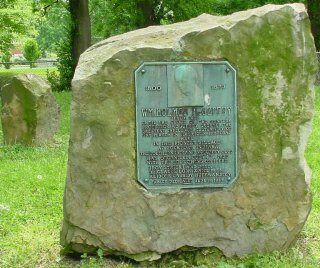 A close-up of the plaque. 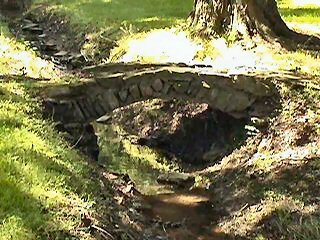 The stone bridge over the creek behind the Transportation Building. A third view of the bridge. 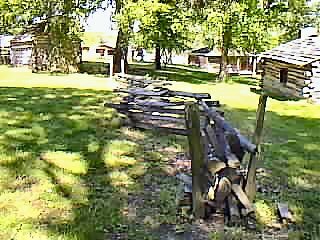 Looking east at the rail fence. 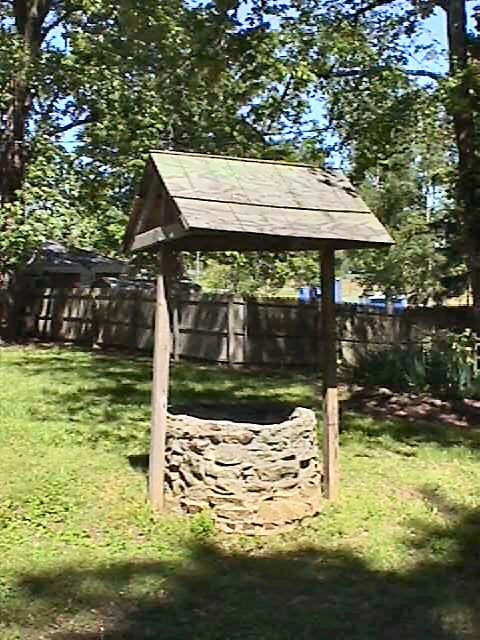 One of the two wells in the Village. 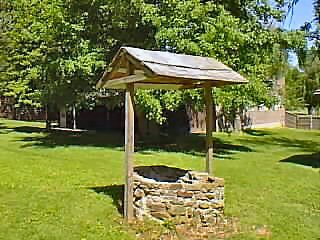 Another view of the well. 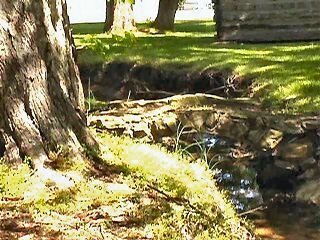 A third view of the well. 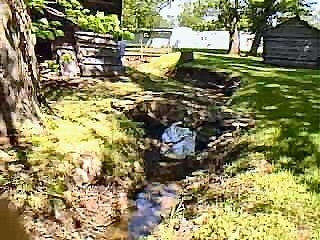 A view of the well taken April, 2009. 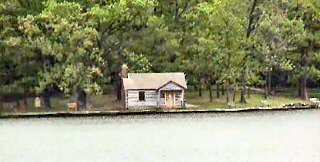 This photo is of a cabin at Lincoln State Park and reminds one of the mill on the island in the middle of the lake at the Rockport Park. The lake has been filled-in and the area is now used for ball fields.